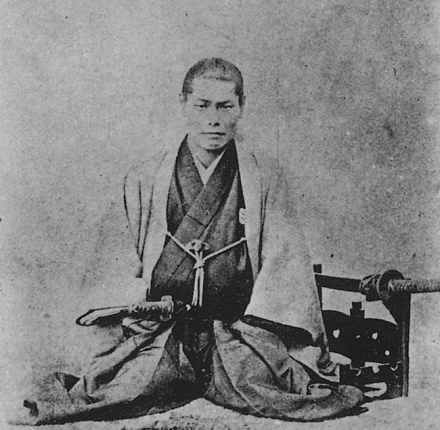 On this date in 1868, Shinsengumi commander Kondo Isami was beheaded at Itabashi as the civil war between the Tokugawa Shogunate and the rising Meiji government that would replace it unfolded. A commoner raised to samurai, Kondo is famous for commanding the Shinsengumi, a sort of shogunate paramilitary renowned for hunting pro-imperial samurai. This, of course, was ultimately a nonstarter, notwithstanding the Shinsengumi’s flair for dramatic success. 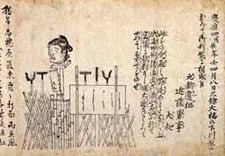 Kondo had little power to reverse the Tokugawa Shogunate’s deteriorating position even though his skill earned him progressively higher appointments in its service. In the event, however, our principal lost the Battle of Koshu-Katsunuma, and was captured shortly thereafter. From there, nature took its course. As a result, Kondo wouldn’t be around to say “I told you so” when the victorious Meiji scrapped their samurai-friendly xenophobia and replaced their former supporters in the warrior caste with a modernized army. But he and his doomed band of upwardly-mobile swordsmen in romantic service of a historical dead-end are still with us. Shinsengumi adventures and Kondo Isami characters remain a staple of popular culture.